What are those?! The stranger in your FarmBoxes this week are the magnificent sunchokes! A rare treat, we’re always excited when our local farmer friends have them back in season. If you thought they were ginger at first, you’re not alone. Most people mistake this odd little veggie as a ginger root, and just pass on by them. But they have nothing to do with ginger. You know “chokes” from artichokes? Yup, wrong again. They don’t have any relation to artichokes either. So what the heck are they. Well, they’re your new favorite vegetable. They’re all-American. 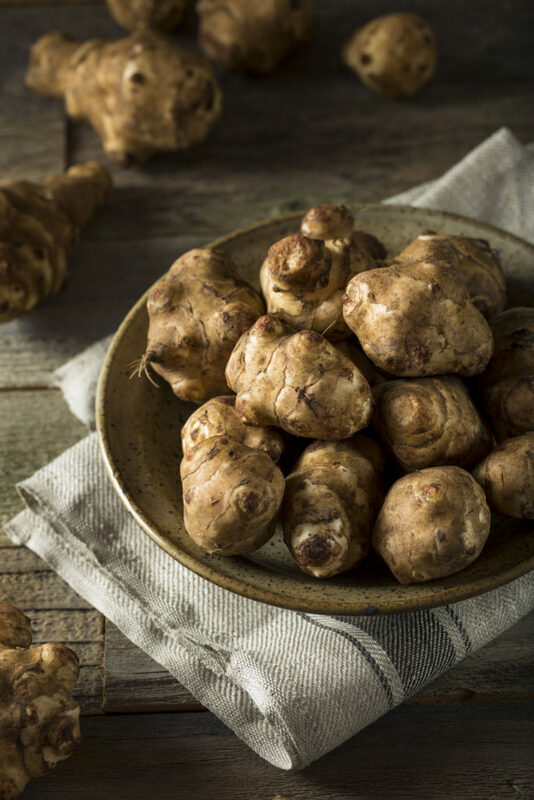 While they are sometimes called the Jerusalem artichoke, sunroot, or earth apple (yeah, we don’t like that one either), they are actually a species of sunflower native to North America, from Canada to Maine, to Florida, Texas, and finally California. Oh, just wait. 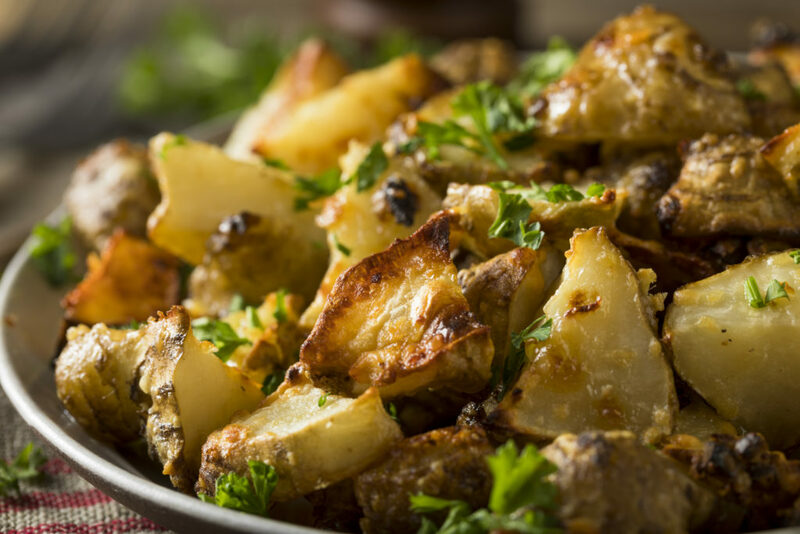 Not only are they extremely versatile, quick-cooking, sweet and savory, high in fiber, and low in carbs… they actually resemble a potato in texture and taste. A potato that’s low carb, fast cooking, that you don’t have to peel. Yup, no peeling required. They’re also full of iron, calcium, magnesium, and potassium… all those good “iums” that we should be eating. Well, being a versatile veg, there is no right or wrong answer. You can even eat them raw. Although, we have to say you’d be missing out on their epic awesomeness because sunchokes really soak up any flavor you throw at them. Plus, they crisp up beautifully and are great roasted or baked into chips. Basically, anything you do with a potato, you can do with a sunchoke. Yeah, even mashed. Low-calorie, low-carb mashed creamy, earthy goodness.